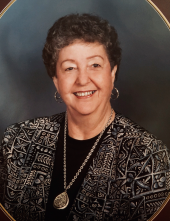 LEXINGTON- Diane Carmen Virkler, 81, of Lexington, peacefully went home to be with her Lord and Savior on February 8, 2019. Her memorial service will be at 4 PM on Sunday February 10, 2019 at the Lexington Community Church. Visitation will be 1 hour prior to the service at church. Memorials may be left in her name at www.cradlefoundation.org. She was born in Grand Rapids Michigan on March 23, 1937. She married James Virkler in Michigan on June 6, 1957. He preceded her in death. Surviving are her 4 children, Greg (Karen) Virkler, Union, MO, Pam (Bob) Sinnett, Lexington, Linda (Jerry) Fender, Springfield, MO, Mark (Megan) Virkler, Evanston; 10 grandchildren; Dallas, Hannah, Tyler, Kellsi, Lindsey, Ben, Matthew, Morgan, Henry, William; 9 great-grandchildren, Haley, Phoenix, Bristol, Penelope, Roman, Logan, Xanthan, Gideon, Calvin; 2 brothers, Leif (Lois) Lindblom, Bruce Stoddard; 2 sisters, Pat (Duane) Oevermann, Becky (Mark) Herbert; sisters-in-law, Bonnie Price, Carol Virkler, Brenda Virkler, and many nieces and nephews. She was preceded in death by her parents, Albin and Carmen Lindblom; her birth mother, Laura Stoddard; and her sister, Genia Stoddard. Diane’s early married life was spent as a homemaker, mother, and farmer’s wife on Circle V Ranch in Iron River, Michigan. In 1967, she and James moved their family to Illinois. From 1972-1985, they were joint partners in the Virkler poultry Farm business in Strawn, Illinois. During these years in Illinois, Diane also worked at Dave’s Supermarket in Fairbury. Once her children were raised, Diane went to work as a full-time insurance biller for the Fairbury Hospital and OSF St. Joseph Hospital. Her expertise in insurance knowledge eventually led her to State Farm Headquarters in Bloomington, Illinois, where she spent her remaining working years. Diane made lasting friendships in every place she worked. Diane was also an active member in her community. She loved people and, because she could strike up a conversation with anyone, she never met a stranger. She was especially drawn to those who needed an encouraging word or helping hand, and often gave of her time to help those less fortunate. In her earlier years, she was an active member of St. Paul Lutheran Church in Forrest, Illinois, where she took on many responsibilities, including being a fun-loving sponsor for the Lutheran League youth group. In her middle years, she was an active member of the Assembly of God Church, in Normal, Illinois where she served as a driver for the children and helped with the children’s mid-week services. Later in life, when she moved to Lexington, Illinois, she became a member of the Lexington Community Church and was involved with the Heart Lifers group. Diane’s entire life reflected her desire to serve Jesus and his church, living out her faith and a personal relationship with Jesus every day. "Email Address" would like to share the life celebration of Diane Carmen Virkler. Click on the "link" to go to share a favorite memory or leave a condolence message for the family.